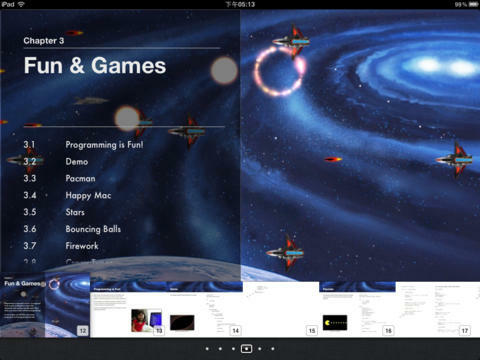 Virtual GS publishes multimedia books on iBookstore. Animal Encyclopedic Books helps your child to learn more than 600 encyclopedic facts on animals and birds from Singapore Zoo and Jurong Bird Park. Each of these books focuses on the simple bits of knowledge of a particular species of animal and bird coupled with captivating real-life pictures and videos. Sing to Learn English helps your child to learn more than 1,000 English words and phrases through many catchy English children rhymes. Sing to Learn Chinese helps your child to learn more than 1,000 Chinese words and phrases through many catchy Chinese children rhymes. The programming instructions and source codes are now being compiled into a programming book! You can download the free book from iBookstore!